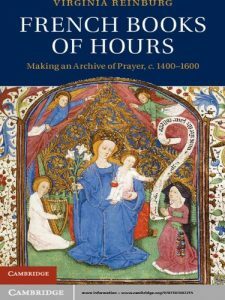 Professor Reinburg wrote French Books of Hours: Making an Archive of Prayer, c. 1400-1600, which was published by Cambridge University Press in February 2012. The Book of Hours was the most popular book in medieval and early modern Europe. Professor Reinburg has written a social history of the book along with an ethnography of prayer. She describes how the book shaped religious practice and argues that the book achieved its popularity because it served as a bridge between liturgy and the home. For more information on this work and other publications, click here.